Bring your design vision to life with this full-color guide to AutoCAD 2013! Used by everyone from engineers and architects to interior designers and draftspeople, AutoCAD 2013 is the world’s leading 2D and 3D technical drawing program. But, with so many options and features available, finding your way around AutoCAD can be a challenge, even for experienced CAD professionals. AutoCAD 2013 For Dummies is here to help. You’ll learn to build a solid foundation for all your projects, use standard CAD techniques, get familiar with new tools and features, and start sharing your models and designs in no time with this easy-to-follow guide. 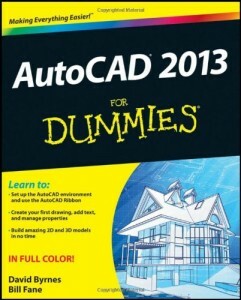 Whether you’re an AutoCAD amateur or a modeling master, AutoCAD 2013 For Dummies has something for you.